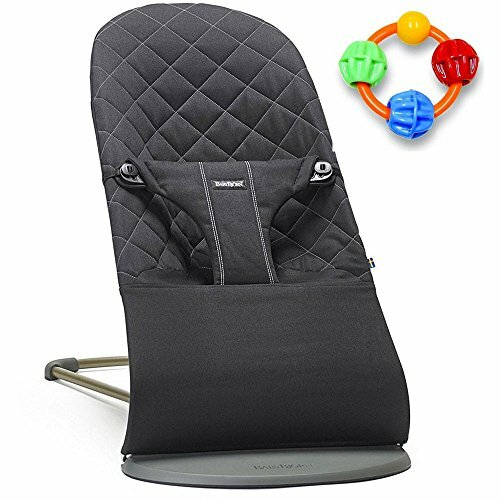 Ergonomically shaped seat that gives support to your baby's back, neck and head. Choose between three different positions. The bouncer is lightweight and portable for easy use at home, but also folds flat when you're on the go. You can remove the fabric seat and wash it. Gentle, natural bouncing created by you or your child. No batteries or cords are needed, and the bouncer makes no noise. Suitable for children aged 0-2 years. Lightweight and portable for easy use at home. Folds flat when on the go. BONUS Click Clack Balls teether included! If you have any questions about this product by Baby Bjorn, contact us by completing and submitting the form below. If you are looking for a specif part number, please include it with your message.